Are you looking for a sound system, DJ equipment or lighting rental service? You found it! We have been a part of hundreds of wedding receptions, birthday parties, anniversaries, corporate celebrations, live shows, theater performances and many other events in Hollywood and the surrounding areas. We deliver our sound and lighting equipment to your event location, set it up, show you how to use it and pick it up at the end of your show. 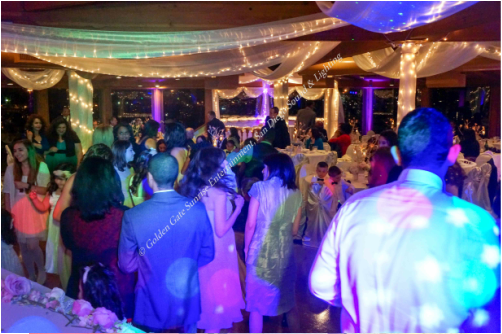 Our most popular services include LED up lighting rental, DJ lights, dance floor lights, gobo lighting, stage lighting, PA system rentals, speakers, microphones, subwoofers, sound mixers, sound engineering and event videography. Our pricing is very affordable and you may click here to view detailed descriptions of our services and packages, which start at only $300 with labor and tax included. When viewing the prices, please add a travel fee of $0.25 from our main office location (92110) to your event venue and note that additional charges or discounts may apply depending on your event location, complexity of our setup and the services provided. You may email us with any questions or simply fill out our contact form on this page. We usually respond to emails within a couple of hours. Please don't forget to include the date of your event so we can check our availability. We thank you for taking the time to check out our website and really look forward to being a part of your special occasion!